The Siege of Corinth (also known as the First Battle of Corinth) was an American Civil War battle fought from April 29 to June 10, 1862, in Corinth, Mississippi. Following the Union Army victory at the Battle of Shiloh, the Union armies under Maj. Gen. Henry W. Halleck – the Army of the Tennessee, the Army of the Ohio, and the Army of the Mississippi – advanced on the vital rail center of Corinth, Mississippi. Made cautious by the staggering losses at Shiloh, Halleck embarked on a tedious campaign of offensive entrenchment, fortifying after each advance. By May 25, 1862, after moving five miles in three weeks, Halleck was in position to lay siege to the town. 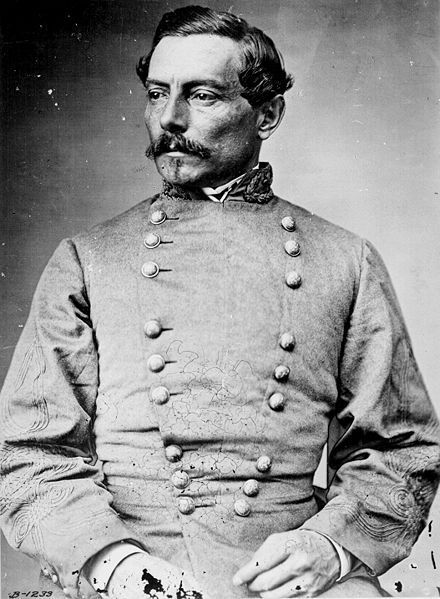 Confederate commander General P.G.T. Beauregard saved his army by a hoax. Some of the men were given three days' rations and ordered to prepare for an attack. As expected, one or two went over to the Union with that news. The preliminary bombardment began, and Union forces maneuvered for position. During the night of May 29, the Confederate army moved out. They used the Mobile and Ohio Railroad to carry the sick and wounded, the heavy artillery, and tons of supplies. When a train arrived, the troops cheered as though reinforcements were arriving. They set up dummy Quaker Guns along the defensive earthworks. Camp fires were kept burning, and buglers and drummers played. The rest of the men slipped away undetected, withdrawing to Tupelo, Mississippi. When Union patrols entered Corinth on the morning of May 30, they found the Confederates gone. 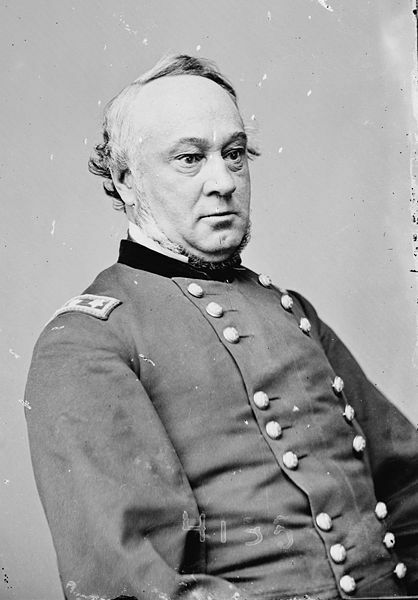 John Pope remarked in his memoirs that Halleck's cautious campaign failed to take full advantage of a glittering array of talented Union officers, including "Grant, Sherman, Sheridan, Thomas, McPherson, Logan, Buell, Rosecrans and many others I might mention."